Review: Just back from the war, Hastings spends some time with an old friend at his country house. 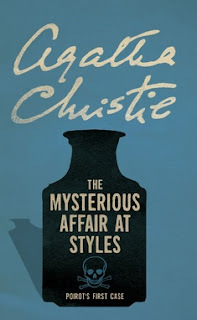 When the wealthy matriarch of the family is poisoned, Hastings and retired Belgium detective Hercule Poirot investigate. Who murdered Emily Inglethorpe? How was she poisoned? How did the killer get into her locked room? Was it her younger husband? Her step-son who was in financial distress? Her step-daughter in law, who seemingly hated living in the country? Emily's young cousin, a pharmacist with direct access to the poison? Mystery buffs will love this intricate tale. 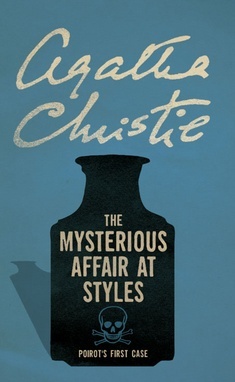 Hastings is amusing as a narrator who fancies himself a detective, when in reality, he is not very observant and does not understand human nature. Our introduction of Poirot, with his impressive mustache, shiny patent leather shoes and his pension for using 'the little gray cells' is fantastic. I cannot wait to read more of these mysteries. And no-I did not figure this one out!